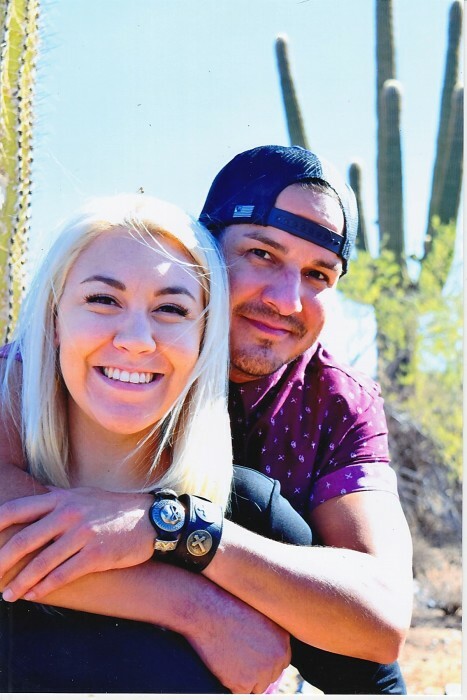 The families of Shelby Ann Keller and Raul Eloyed Montoya are deeply saddened and regret to announce the passing of the couple on March 30, 2019. We are at peace knowing that they passed doing what they loved and enjoyed so much. Both of these beautiful souls were happy and looking forward to many new chapters of life together. Shelby and Raul loved their families, friends, coworkers and large network of interesting characters they’d met through their travels. There was never a moment that their irrevocable love for one another was questioned. Shelby, being a Keller, kept Raul on his toes. And Raul, being a Montoya, gave her reason to! Truly a match made in Heaven. We will all cherish the beautiful and precious memories that Shelby and Raul have left us with. Raul Eloyed Montoya was born in Taos, New Mexico, to his parents Frances and Eloy Montoya. His love for his parents and his home town were immeasurable. He had norten᷉o blood running through his veins, and the mountains in his soul. A lover of sports, spending time with his loved ones, riding his bike under sunny skies with his love at his backside, and most importantly an unyielding love for music. His life was an ongoing lyric filled with passion, pain, deep love and emotion. He is survived by his daughter Alyssa Montoya, mother and father Frances & Eloyed Montoya, sister Elisa Montoya, niece Mikaela Montoya-Ortega, nephews Drake and Kamron Montoya-Jeannette and a very large and loving extended family. He is preceded in death by his Grandmother Valentina Montoya, Grandfather Andres Montoya, Grandfather Victor Fresquez and Aunt Andrea Starr. Shelby Ann Keller was born and raised in Scottsdale, Ariz., to Brian and Laura Keller. Shelby grew up a pillar of the Scottsdale community as a ‘Club Kid’ and eventual staff member at The Boys and Girls Club (Thunderbirds Branch). A graduate of Kohler Academy and Arizona State University, Shelby was a lifelong learner and had a passion for all her pursuits from music and riding to taking care of their beloved pup. She will forever be in the hearts of all who she touched and remembered for her infectious smile and warmth. Shelby is survived by her mother and father, Brian and Laura, and sisters, Mackenzie and Cydney. Please join the Keller and Montoya families in a celebration of life service. Services will be held on Saturday, April 6, at 2 pm at Messinger Pinnacle Peak Mortuary (8555 E. Pinnacle Peak Road, Scottsdale, Arizona 85255).